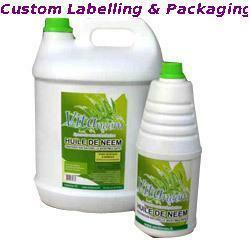 We provide Custom Labelling & Packaging . High grade neem seeds kernels are squeezed to extract neem oil. Proprietary cold pressing process is carried out by heating or using chemicals and petrochemicals so that all the essential nutrients in the oil are being preserved. 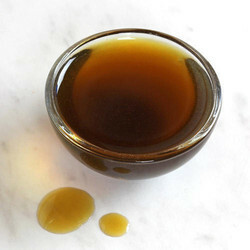 Our company is the foremost for offering Neem Oil to the clients. This product is widely demanded by cosmetic industries, food processing industries and pharmaceutical industries. Neem Oil is used for the treatment of acne, fever, tuberculosis, malaria and leprosy. Offered range is checked by quality controllers. We are industry very illustrious name engaged in offering an excellent quality range of Natural Neem Oil to our highly valued clients. Our offered these oils are processed by our skilled professionals using the natural leaves and seeds of trees by implementing the latest technical methods. We are one of the most reliable companies in this domain and are offering Neem Oil. We are a most trusted name among the topmost companies in this business, involved in offering Neem Oil. In order to keep pace with the never ending demands of customers, we are involved into offering wide range of Neem Oil. This is a milder form of Pure Neem Oil with an Azadiractin content of 500 PPM. We are engaged in offering a pure and safe range of Neem Oil to our clients. Our offered oil is precisely formulated by our vendors and is quality approved. We are manufacturer and exporter of Neem Oil. Packing: In 200 litre sea worthy barrels. High quality Neem seed kernels are crushed to extract Neem Oil using a proprietary cold pressing process that enhances / retains natural levels of azadirachtin to a minimum of 1800 ppm.